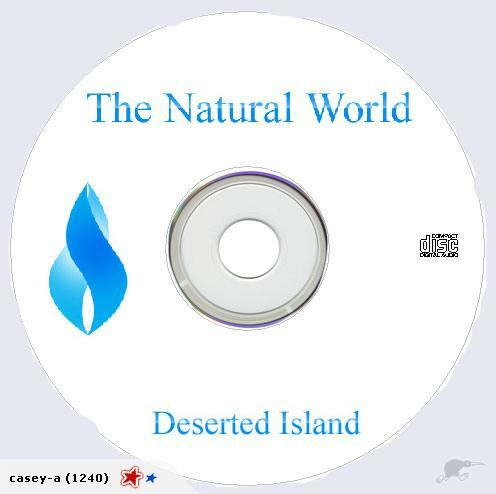 The Natural World CD Collection are specifically designed relaxation CDs - just sit back and relax while your favourite sounds block out the outside world, and let your imagination roam. Deserted Island is the ultimate relaxation CD. Just sit back and relax while your favourite sounds block out the outside world, and let your imagination roam. Now you can relax with the peaceful sounds of the sea, and leave all your cares behind without even leaving the security of your own home. This CD has been specifically designed to assist relaxation and to enhance ambience. Running time of the CD is approximately 68 minutes. This CD is brand new and will be sent to your door in a protective sleeve. Please see my other auctions for more of the Natural World Collection and complete series packs. Please note this is a relaxation CD and contains natural sounds only - it has been specially designed this way to ensure the utmost relaxation is obtained. This CD is not mixed with background music of any kind! Limited stock is available, as the first run of this amazing CD has just finished, and we expect these to sell out promptly. So make sure you take advantage of this amazing offer now!! !